Responsible for employee recruitment?attendance recording and inspection of employee working performance. At least 5years experience in HR field department. Must be good at english in speaking?listening and writing. 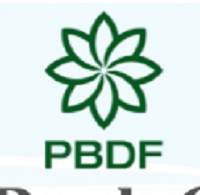 PBDF is established with the purpose of development of Socio Economic and development of standard of life and dedicated to voluntary social development work and to maintain female right, children right, labor right and human right of neglected poor and distress people of Bangladesh.